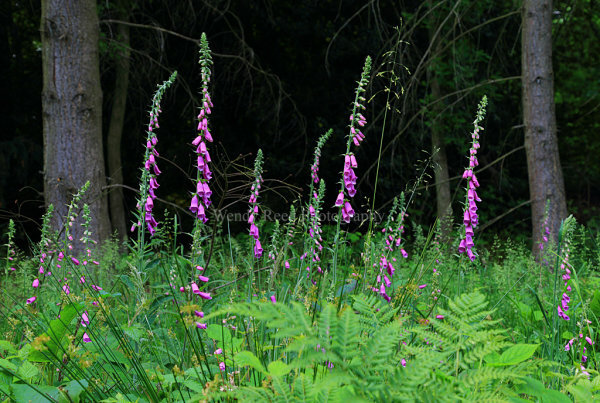 The best displays of foxgloves are to be found in woodland clearings. There is a small clearing in the woods next to Berins Hill, the steep road down out of Stoke Row towards Ipsden, where each year a cluster of foxgloves can usually be found. This year they were a bit sparse but the bubblegum pink shows up well against the darkness of the surrounding woods. I think they always look best early season (mid June), when the flowers are at the bottom of the spikes and the tops are in bud. Later in the season they can look top-heavy with open flowers on top and dying ones beneath.